As a family-owned business, Fortune Title Agency provides its clients with three generations of experienced leaders in the title industry. Leading by example, they represent a work ethic driven by dedication, passion, and commitment to excellence. 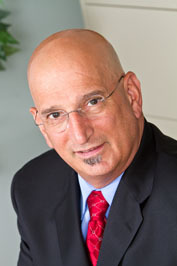 Nick Timpanaro , Founder and President of Fortune Title Agency, began his career in title services in 1980, with an introduction to the title abstract business by his wife, Dorri and mother-in-law, Doris Petroski, who had a title abstracting business in Hudson county. This early exposure to the industry sparked his interest in the field and keeps fueling his dedication to provide Fortune Title clients with the highest level of title service. Before founding Fortune Title Agency, Inc. in 2000, Nick had stints at First Financial Title and Commerce Title Agency, Inc.
Nick is a respected leader within the title industry and is active in the New Jersey Land Title Association. Known for his innovative problem-solving skills, Nick has a reputation for resolving complex title examinations in a proactive manner, while still focusing on the unparalleled customer service that has become the foundation of his culture at Fortune Title. Nicole Plath , CEO of Fortune Title Agency, officially joined the Fortune Title Agency team in 2008, though she has been part of the title family since it started. After graduating from Villanova University with a bachelor’s degree in Business Management and a minor in Information Systems, then earning a master’s degree from Steven’s Institute of Technology in the Management of Information Systems in 2005, Nicole entered the workforce with no intention of working for, much less leading, the family business. However, she came to Fortune in an official capacity in 2008 so that she could better balance her work life with a growing family that now includes a daughter and two sons. The job was supposed to be temporary, but Nicole quickly became an irreplaceable member of Fortune Title’s leadership team. As soon as she came on board, Nicole identified items on the business side of the agency that needed attention. Since officially taking the reins as Fortune’s CEO, Nicole has melded the traditional people-centered values of Fortune Title with cutting-edge technological solutions. Though it was never planned, Nicole says there could be nothing more enjoyable and rewarding than co-running the firm her father founded and ensuring that the family-first core values of Fortune Title remain the cornerstones of the company. It is not just Nick and Nicole that make Fortune a family business. Even the employees who are not related by blood are considered family, Nicole says. In addition to improving the firm’s business locally, Nicole has helmed Fortune Title’s ascent to becoming a national player in the title industry. She joined the American Land Title Association and currently serves as Secretary of the ALTA Agent’s and Abstractors Executive Committee and sits on the ALTA Best Practices Executive Committee. On a local level, she is very active in the New Jersey Land Title Association, where she acts as Chair of the Agency Section, and a member of the Planning, Exploratory, and Convention Committees. She is also Editor in Chief of the Advocate, the official publication of the New Jersey Land Title Association, and an active member of the Pennsylvania Land Title Association. For Nicole, being a part of these industry organizations is not just an honor, it is a duty to improve the title industry space for the better.